Jammu region's Samba district recorded an overwhelming 66 per cent voting during the first six hours in the third phase of the state's municipal polls. JAMMU/SRINAGAR: Jammu region's Samba district recorded an overwhelming 66 per cent voting during the first six hours in the third phase of the state's municipal polls ​ on Saturday while Kashmir Valley witnessed a low turnout. "In Jammu'S Samba district, 49.90 per cent votes were cast in Samba town, 73.33 in Ramgarh, 64.15 in Vijaypur and 69.12 in Bari Brahamana town," poll officials said. 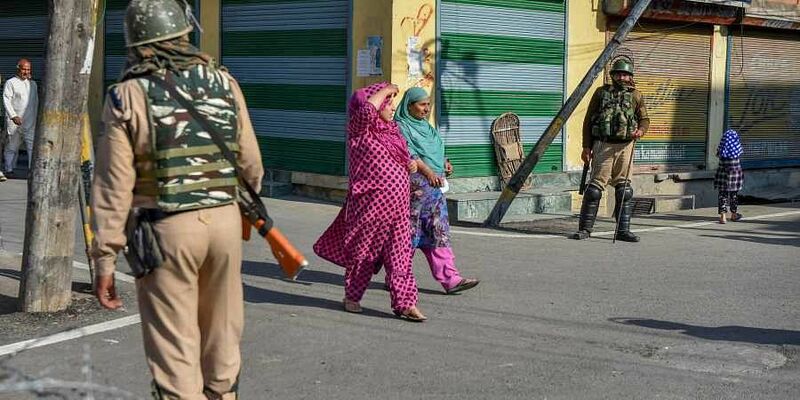 "In Anantnag district, 2.36 per cent voters exercised their franchise in Mattan town while in Baramulla district, 67.79 per cent votes were cast in Uri. There was no voter in Sopore town of the same district during this period. In Srinagar district, the voter turnout was very low with just 1.33 per cent, according to the officials. In Samba district, polls were being held for the four municipal committees of Samba, Ramgarh, Vijaypur and Bari Brahamana. In Anantnag, voting took place for the Mattan municipal committees while in Baramulla district voting was held for Uri and Sopore. For the Srinagar municipal corporation, voting is being held in four wards. READ HERE | Jammu and Kashmir local body polls: Can democracy sustain amidst militancy? In the Valley's Pulwama and Bandipora districts, some candidates have been elected unopposed while in the other wards no candidate had filed papers for the third phase contest. Voting began at 6 a.m. and will end at 4 p.m. in Jammu's Samba district and the valley's Srinagar, Anantnag, Baramulla, Pulwama and Bandipora districts. A total of 365 candidates are in the fray for 96 wards of eight urban local bodies comprising 193,990 electors. Additional staff were deployed at polling stations with a large number of electors, poll officials said. Shaleen Kabra, the state's Chief Electoral Officer (CEO), said the overall poll percentage in the first two phases of the municipal polls that took place on October 8 and 10, has been 47.2 per cent. Kabra said that to ensure free and fair elections, observers have been deployed, including micro-observers at 222 hypersensitive polling stations in the Kashmir Division and 19 in Jammu Division. The municipal elections that are taking place after 13 years in the state, are being held in four phases, covering 79 municipal bodies with an electorate of about 17 lakh voters. A total of 3,372 nominations have been filed for 1,145 wards. Voting for the fourth and final phase of these elections will be held on October 16. Counting is scheduled on October 20.